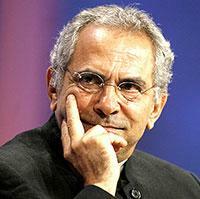 Jose Ramos-Horta is co-winner of the 1996 Nobel Peace Prize. He was a major figure of the East Timorese resistance movement against Indonesia. He was a founder of the Revolutionary Front for an Independent East Timor (FRETLIN). After independence, he became foreign minister and then prime minister. He served as president from 2007-20123. He is currently a UN Special Representative to Guinea-Bissau.